The workers, the people of the Second Aliyah worked and settled all over the Land of Israel – in cities and villages. They also established a number of agricultural settlements. A cultural and social gap divided them from the farmers of the villages. The latter preferred to employ Arab workers who were poorly paid and rejected the young newcomers that were not accustomed to physical labor. Moreover, most of them were put off by the socialist ideology, Practical Zionism and the ideas of the Hebrew Labor Movement which supported Jewish labor. If I am not for myself, who is for me? And if I am only for myself, what am I? Beyond the claims related to employing the new immigrants, there were political and social differences between the two groups. Most of the workers were young secular people with a socialist orientation. They hoped to influence the villagers. The village farmers saw the socialist new immigrants as a threat to their position and a bad influence on their youngsters. They believed that absorbing the newcomers would cause damage to the ambience in the village. The relations between the two groups suffered from distrust and hostility. And so those who couldn’t find work on the village farms established the collective settlement, where they could work and lead a life based on cooperation and equality. What could be better than that? The collective settlement is a kind of cooperative settlement which was founded during the Second Aliyah and developed during the Third Aliyah. Its principles were based on the existence of a cooperative settlement, a small intimate commune. The members of the group cooperated fully and there was no private property. 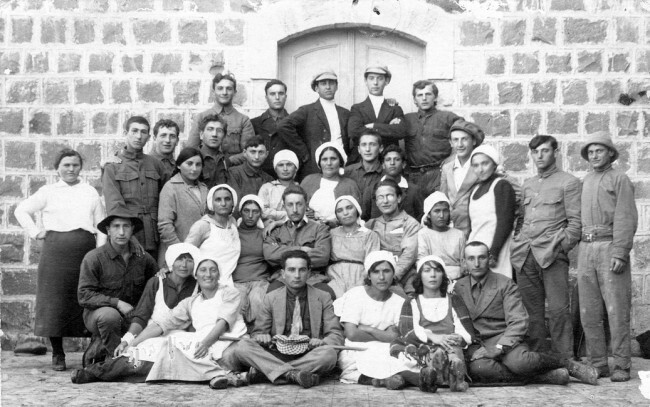 The group served the goals of the pioneers in the Land of Israel – Jewish labor and the belief in socialism. Degania, the first kibbutz, is called the “Mother of the Kibbutzes”. 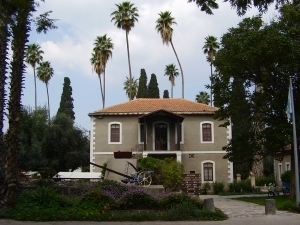 It was founded in 1910 on the lands of the village, Um-G’uni, south of the Sea of Galilee. The land was purchased by the Jewish National Fund. 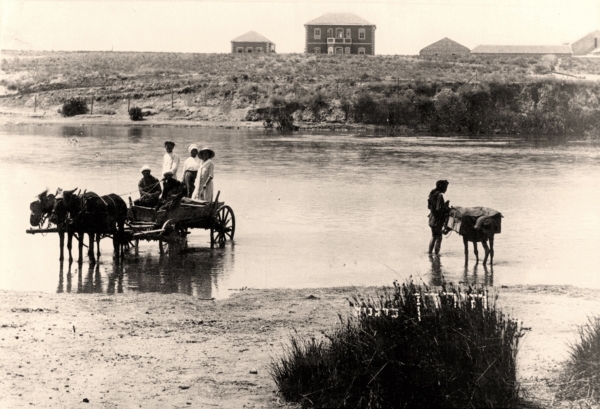 Before the establishment of Degania, its members went to Chatzer Kinneret (Kinneret Courtyard), where they learned and readied themselves for a cooperative life of farming. Rachel wanted to be a farmer and so in 1911 (about two years after her “aliyah”), she went to Haalamot Farm, (The Young Women’s Farm) an agricultural school for women established by Hannah Meisel on Chavat KInneret. There Rachel met Berl Katznelson and Aaron Daviv Gordon, who influenced her greatly. To express her thanks, she dedicated her first Hebrew poem “Halach Nefesh” (The Soul Went). There she also met Zalman Rubashov, (who later became known as Zalman Shazar, the third president of the State of Israel), with whom she had a romantic relationship.. In 1913, she went to France, where she studied agronomy at the University of Toulouse. 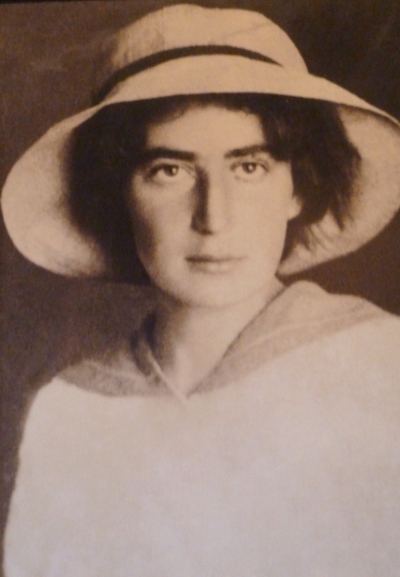 Upon finishing her studies, she was unable to return to Israel because of the outbreak of World War I. Instead she returned to Russia where she taught Jewish refugee children. It was apparently then that she contracted tuberculosis. In 1919, she returned to the Land of Israel on board the ship Ruslan. She returned to her poems, to her beloved Sea of Galilee and to Degania. There she was active in the cultural life of the kibbutz and worked mainly with the kibbutz children. Were you there, or did I only dream? Not long after, Rachel was diagnosed with tuberculosis. At first, Rachel was told by her doctor to eat from separate dishes. However, the disease, which was at that time considered incurable, resulted in her expulsion from Degania. Rachel wrote most of her poems in the last six years of her life, many of which were written about her awaiting her death. In 1927, as she lay on her sickbed in Tel Aviv, she remembered happier days, there, which seemed to her like a distant dream. Perhaps it was never so. Were you there or did I only dream? In addition to the kibbutzes that were established during the Second Aliyah, private farming communities (moshavot), such as Migdal and Poriah, were established by wealthy individuals. Their underlying principles were autonomous Hebrew labor and equal parcels of land for each member of the moshav. 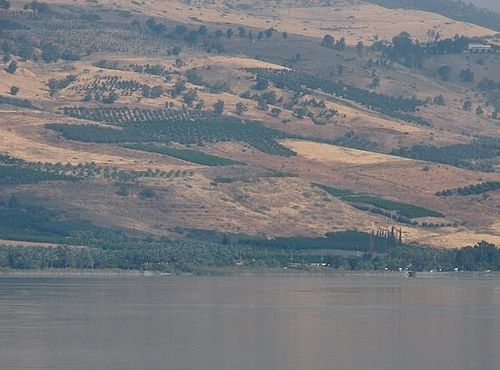 The farm, near the Sea of Galilee (Kinneret) was established in 1908 by the EretzIsrael Bureau of the Zionist Organization in order to train Jewish workers for agricultural work and for settlement. Stretch out your hands and touch them. how can I betray you, how can I forget. How can I forget the grace of youth? This is a system of government which espouses reducing the social gaps and aspires to equality. There are various streams within socialism, for example, communism, which is a socialist, dictatorial government. The socialist movement in the modern world had its beginnings in the workers’ movement at the end of the 19th century. At that time, the term “socialism” related mainly to the European critics of “capitalism” and the concept of property. During the 19th century in Europe, there were revolutionary social movements which espoused socialism. The immigrants of the Second Aliyah brought this ideology with them to the Land of Israel and realized it in the kibbutzes and moshavs that they established.